There have been increasing grumblings in some circles that too many superhero movies feel like they’ve come off a production line and are all pretty much the same as one another. Included in that grumbling has been Fox’s X-Men movies, but in the last couple of years they’ve also produced two standalone movies set in that universe – Deadpool and now Logan – that have really felt different and have shown that there are all sorts of possibilities in the world of comic books. 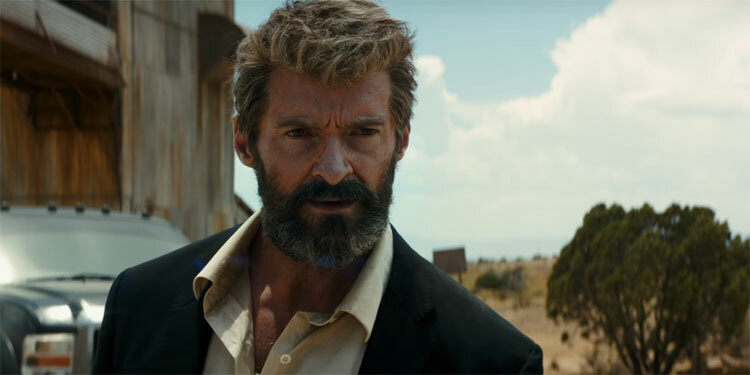 Although Hugh Jackman’s Wolverine has had two previous non X-Men movies, this is a very different beast to the earlier film, having more in common with a western or a road movie than a traditional superhero film. Set decades after previous films set in the X-Men universe, there are now very few mutants left and those that exist aren’t doing too well. Wolverine/Logan is working as a driver, and his health is failing him. He’s become increasingly grizzled, and his ability to heal from injury is weakening. He’s also looking after Professor Xavier, who’s now in his 90s, has a faltering memory and a condition that means he keeps losing control of his powers – with potentially deadly consequences – unless he’s kept medicated. Logan is bitter, angry and utterly disillusioned with everything mutant and particularly Professor X’s highfalutin ideas. However, his desire just to be left alone is forced to change when he has to look after a young, apparently mute, mutant girl called Laura (Dafne Keen), who has powers that are very similar to his own. He must take her to North Dakota, so she can then escape to Canada, but an evil corporation and their ‘reavers’, led by Pierce (a genuinely menacing Boyd Holbrook), are determined to hunt them down, no matter what. Logan is so different to most superhero movies that when it does do something ‘typical’ of that sort of film, it feels oddly inappropriate. That said, despite its unusual style, it still provides plenty of action, excitement and some great fight scenes. And as this isn’t saddled with having to have a PG-13 rating, there’s a lot more swearing, bloody violence and decapitations than we’ve seen from Wolverine and co. before. But more than just action and violence, the movie is interested in the characters, exploring what has happened to them after they’ve been broken by age, and a world that has turned out the opposite of what they’d hoped. Throughout Hugh Jackman’s time as Wolverine, his character has hinted towards a world-weary nihilism and desire not to connect with the world, but it’s always been in ways where it’s made clear to the audience he doesn’t really mean it. Here though he’s genuinely given up, as has his body. Even his connection to Professor X. seems more of an obligation than anything else. However, he ends up on a cross-country trip with what is essentially a surrogate family he doesn’t want – grandfather (Professor X), father (Logan), and daughter (Laura). Most films would just treat him as if he’s being stupid for not wanting this family, but here you can see his point. You can perfectly understand why he feels being close to him, either physically or emotionally, is a bad idea. His is a world that’s destructive and violent, even if he doesn’t want it to be, and those who show him kindness tend to end up far worse for their troubles. Even by the end it leaves open the question as to whether the need for human connection and family can be as much a dangerous compulsion as something good for your life (at least in certain circumstances). Much of the film is dark and quite gritty. It’s a melancholic look at characters that over the course of 17 years we’ve come to know in various guises, and a rather brave move on the part of the franchise to say that despite everything they’ve done, they have failed and their only hope is a small amount of personal redemption. Cleverly, despite the difference from their earlier appearances, the film is consistent with both Logan and Xavier as characters and who they’d be in a situation where they’re old and it’s all gone wrong. It’s thoughtful, sometimes surprisingly moving and a strong send-off for what both Jackman and Stewart have suggested will be their final X-Men movie. It may not have a constant cavalcade of OTT special-effects, massive disasters and cities crumbling to dust as many of these movies do, but what it has instead is heart, thought and strong action when it needs it. It’s a film that understands that underneath the sci-fi/magical trappings of comic books, it’s a way to look at the issues of the world from a sideways perspective. 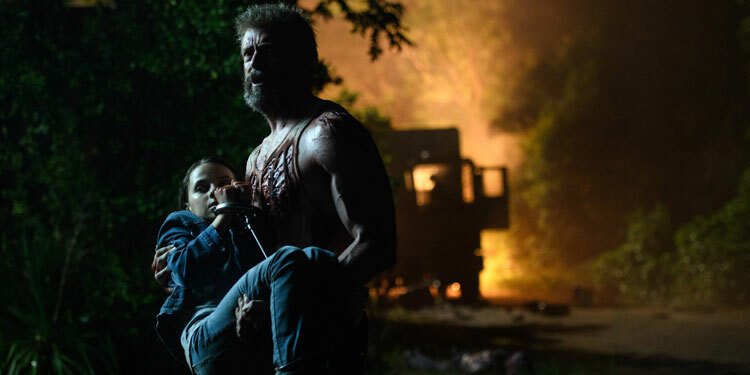 It allows Logan to take on ideas of family, society, power, and even immigration in unusual and unexpectedly powerful ways. Overall Verdict: After 17 years and two previous standalone movie, Wolverine finally gets the movie he deserves, which also acts to show just what a superhero film can be with a little thought. 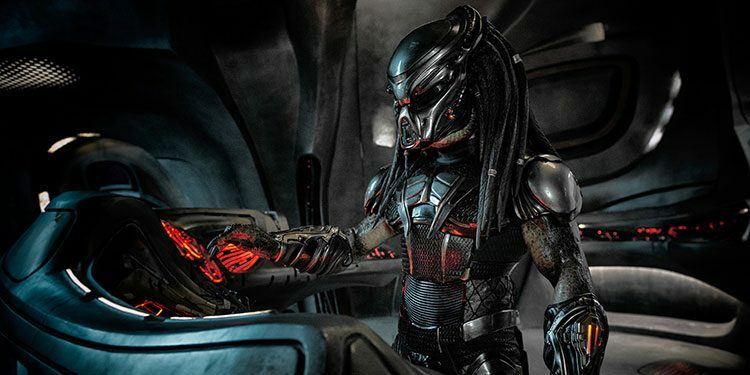 There are still plenty of people sceptical that yet another attempt to reboot the Predator franchise will work. However, this time there is hope, as Shane Black (Iron Man 3, The Nice Guys) is writing and directing the film. Boyd Holbrook, Jacob Tremblay, Olivia Munn, Trevante Rhodes, Keegan-Michael Key, Sterling K. Brown and Thomas Jane are already set to star. They’ve now been joined by Chuck and Dexter’s Yvonne Strahovski, as well as Game Of Thrones’ Alfie Allen. Not a vast amount is known about the plot, although Holbrook will be the main character, with Strahovski as his ex-wife. They come into conflict again when their son (Tremblay) is drawn into the battle between Holbrook and an alien creature. It’s now clear who Allen will be. Shooting has just started in Vancouver, with a February 2018 release date set. There’s been some pretty good buzz about Logan, and from what we’ve seen it’s like nothing we’ve seen from the X-Men universe before, which is underlined by this Super Bowl spot. It certainly shows that this is a far cry from Days Of Future Past, Apocalypse, or even The Wolverine. But it does look like it might be good. 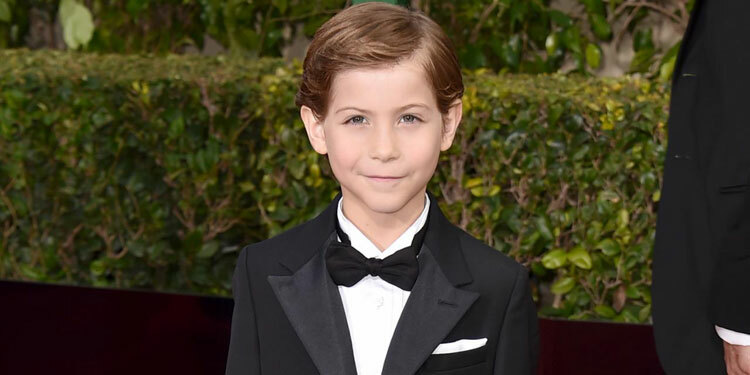 If you’re going to make a Predator movie, you wouldn’t think cute kids would be top of the casting list. But hey, it worked with Newt in Aliens, and now Robert Rodgriguez’s The Predator is getting a child star, as Jacob Tremblay has signed on to the movie, according to THR. 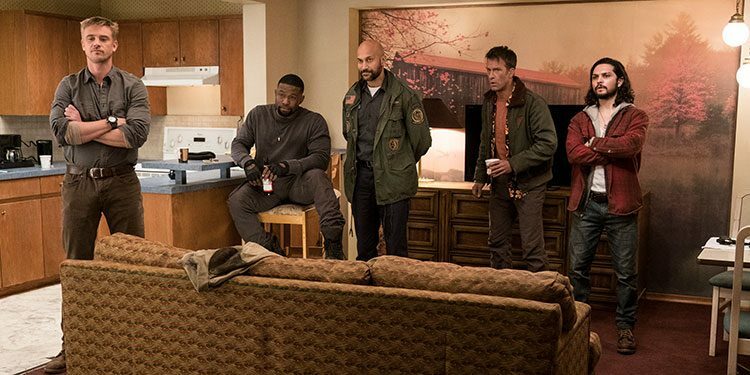 The breakout Room actor joins the likes of Boyd Holbrook, Olivia Munn, Trevante Rhodes, Keegan-Michael Key, Sterling K. Brown and Thomas Jane in the film. Tremblay will play, ‘the son of Holbrook’s character, an ex-Marine who discovers the existence of fierce aliens but finds that no one believes they exist’. Shane Black (Iron Man 3, The Nice Guys) is writing and directing the film. The Predator is due to start filming in Vancouver in February.